1Now the children of Reuben and the children of Gad had a very great multitude of cattle: and when they saw the land of Jazer, and the land of Gilead, that, behold, the place was a place for cattle;2The children of Gad and the children of Reuben came and spake unto Moses, and to Eleazar the priest, and unto the princes of the congregation, saying,3Ataroth, and Dibon, and Jazer, and Nimrah, and Heshbon, and Elealeh, and Shebam, and Nebo, and Beon,4Even the country which the LORD smote before the congregation of Israel, is a land for cattle, and thy servants have cattle:5Wherefore, said they, if we have found grace in thy sight, let this land be given unto thy servants for a possession, and bring us not over Jordan.6And Moses said unto the children of Gad and to the children of Reuben, Shall your brethren go to war, and shall ye sit here?7And wherefore discourage ye the heart of the children of Israel from going over into the land which the LORD hath given them?8Thus did your fathers, when I sent them from Kadeshbarnea to see the land.9For when they went up unto the valley of Eshcol, and saw the land, they discouraged the heart of the children of Israel, that they should not go into the land which the LORD had given them.10And the LORD'S anger was kindled the same time, and he sware, saying,11Surely none of the men that came up out of Egypt, from twenty years old and upward, shall see the land which I sware unto Abraham, unto Isaac, and unto Jacob; because they have not wholly followed me:12Save Caleb the son of Jephunneh the Kenezite, and Joshua the son of Nun: for they have wholly followed the LORD.13And the LORD'S anger was kindled against Israel, and he made them wander in the wilderness forty years, until all the generation, that had done evil in the sight of the LORD, was consumed.14And, behold, ye are risen up in your fathers' stead, an increase of sinful men, to augment yet the fierce anger of the LORD toward Israel.15For if ye turn away from after him, he will yet again leave them in the wilderness; and ye shall destroy all this people.16And they came near unto him, and said, We will build sheepfolds here for our cattle, and cities for our little ones:17But we ourselves will go ready armed before the children of Israel, until we have brought them unto their place: and our little ones shall dwell in the fenced cities because of the inhabitants of the land.18We will not return unto our houses, until the children of Israel have inherited every man his inheritance.19For we will not inherit with them on yonder side Jordan, or forward; because our inheritance is fallen to us on this side Jordan eastward.20And Moses said unto them, If ye will do this thing, if ye will go armed before the LORD to war,21And will go all of you armed over Jordan before the LORD, until he hath driven out his enemies from before him,22And the land be subdued before the LORD: then afterward ye shall return, and be guiltless before the LORD, and before Israel; and this land shall be your possession before the LORD.23But if ye will not do so, behold, ye have sinned against the LORD: and be sure your sin will find you out.24Build you cities for your little ones, and folds for your sheep; and do that which hath proceeded out of your mouth.25And the children of Gad and the children of Reuben spake unto Moses, saying, Thy servants will do as my lord commandeth.26Our little ones, our wives, our flocks, and all our cattle, shall be there in the cities of Gilead:27But thy servants will pass over, every man armed for war, before the LORD to battle, as my lord saith.28So concerning them Moses commanded Eleazar the priest, and Joshua the son of Nun, and the chief fathers of the tribes of the children of Israel:29And Moses said unto them, If the children of Gad and the children of Reuben will pass with you over Jordan, every man armed to battle, before the LORD, and the land shall be subdued before you; then ye shall give them the land of Gilead for a possession:30But if they will not pass over with you armed, they shall have possessions among you in the land of Canaan.31And the children of Gad and the children of Reuben answered, saying, As the LORD hath said unto thy servants, so will we do.32We will pass over armed before the LORD into the land of Canaan, that the possession of our inheritance on this side Jordan may be ours.33And Moses gave unto them, even to the children of Gad, and to the children of Reuben, and unto half the tribe of Manasseh the son of Joseph, the kingdom of Sihon king of the Amorites, and the kingdom of Og king of Bashan, the land, with the cities thereof in the coasts, even the cities of the country round about.34And the children of Gad built Dibon, and Ataroth, and Aroer,35And Atroth, Shophan, and Jaazer, and Jogbehah,36And Bethnimrah, and Bethharan, fenced cities: and folds for sheep.37And the children of Reuben built Heshbon, and Elealeh, and Kirjathaim,38And Nebo, and Baalmeon, (their names being changed,) and Shibmah: and gave other names unto the cities which they builded.39And the children of Machir the son of Manasseh went to Gilead, and took it, and dispossessed the Amorite which was in it.40And Moses gave Gilead unto Machir the son of Manasseh; and he dwelt therein.41And Jair the son of Manasseh went and took the small towns thereof, and called them Havothjair.42And Nobah went and took Kenath, and the villages thereof, and called it Nobah, after his own name. 1Then came together unto him the Pharisees, and certain of the scribes, which came from Jerusalem.2And when they saw some of his disciples eat bread with defiled, that is to say, with unwashen, hands, they found fault.3For the Pharisees, and all the Jews, except they wash their hands oft, eat not, holding the tradition of the elders.4And when they come from the market, except they wash, they eat not. And many other things there be, which they have received to hold, as the washing of cups, and pots, brazen vessels, and of tables.5Then the Pharisees and scribes asked him, Why walk not thy disciples according to the tradition of the elders, but eat bread with unwashen hands?6He answered and said unto them, Well hath Esaias prophesied of you hypocrites, as it is written, This people honoureth me with their lips, but their heart is far from me.7Howbeit in vain do they worship me, teaching for doctrines the commandments of men.8For laying aside the commandment of God, ye hold the tradition of men, as the washing of pots and cups: and many other such like things ye do.9And he said unto them, Full well ye reject the commandment of God, that ye may keep your own tradition.10For Moses said, Honour thy father and thy mother; and, Whoso curseth father or mother, let him die the death:11But ye say, If a man shall say to his father or mother, It is Corban, that is to say, a gift, by whatsoever thou mightest be profited by me; he shall be free.12And ye suffer him no more to do ought for his father or his mother;13Making the word of God of none effect through your tradition, which ye have delivered: and many such like things do ye.14And when he had called all the people unto him, he said unto them, Hearken unto me every one of you, and understand:15There is nothing from without a man, that entering into him can defile him: but the things which come out of him, those are they that defile the man.16If any man have ears to hear, let him hear.17And when he was entered into the house from the people, his disciples asked him concerning the parable.18And he saith unto them, Are ye so without understanding also? Do ye not perceive, that whatsoever thing from without entereth into the man, it cannot defile him;19Because it entereth not into his heart, but into the belly, and goeth out into the draught, purging all meats?20And he said, That which cometh out of the man, that defileth the man.21For from within, out of the heart of men, proceed evil thoughts, adulteries, fornications, murders,22Thefts, covetousness, wickedness, deceit, lasciviousness, an evil eye, blasphemy, pride, foolishness:23All these evil things come from within, and defile the man. Why was Moses angry with Reuben, Gad, and the half tribe of Manasseh? 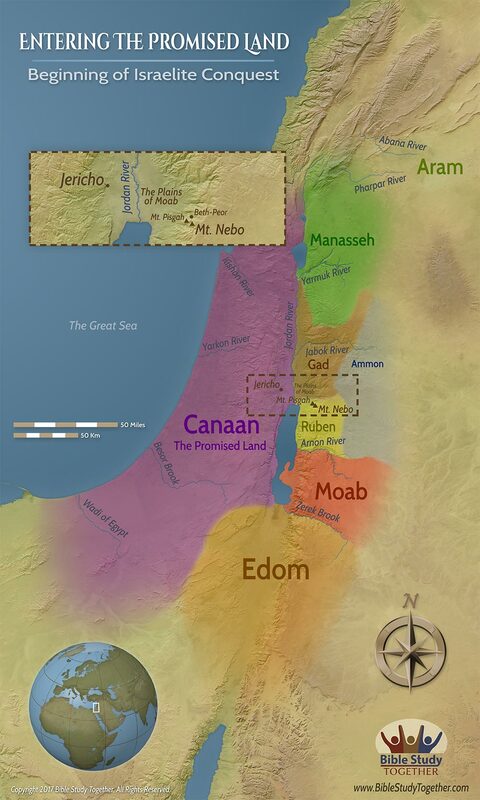 How did Reuben, Gad, and the half tribe of Manasseh respond to Moses? How does someone’s heart grow distant from God while they still honor Him with their lips? Why did Jesus reprove the Pharisees? Discuss with someone the difference between a command from God and a tradition of men.